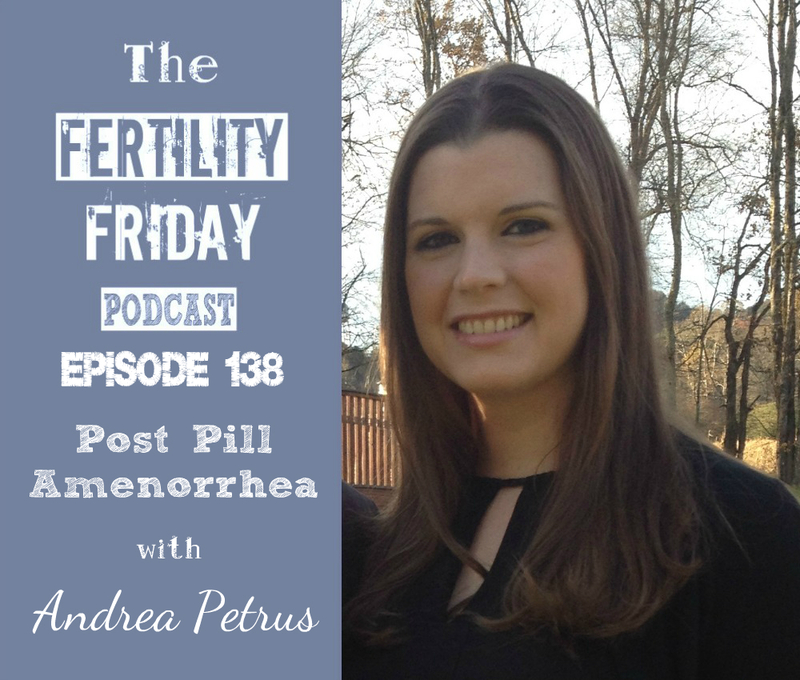 Andrea struggled with amenorrhea for 4 years after coming off hormonal contraceptives. Andrea had come off the pill to try to conceive. After undergoing multiple failed rounds of IUI and IVF Andrea decided to turn to the world of naturopathic medicine. After a long road, Andrea’s period finally returned after she made a number of significant dietary and lifestyle changes. In today’s show, Andrea shares her story, and what it was that finally helped her to turn the corner and bring her period back after so many years. Why it’s so very important to come off hormonal contraceptives before you’re ready to start trying for a baby (at least a year or more). I love this episode. It brought tears to my eyes because I’ve also had amenorrhoea for 5 years and got my period back in March this year. I tried everything over the years but what worked was to quit my stressful job and practise lots of self-love, daily meditation and treating my body with kindness for 3-4 months. My period disappeared again and since then things have spiralled into a deep hole. I started getting depressed, feeling lost and my old body image issues and self-negative talking habits creeped up on me again. Funny enough, I’m also back in my old stressful job (only temporary!) and it’s like being back to square one. This podcast just made me realise why my periods have gone MIA again and what I need to get it back. The power of self-love to healing our body is incredible. Thank you. Question is, my specialist put me on metformin (I have non-insulins resistant thin PCOS) and I’m planning to take it for 12 months. Do you have any advice on metformin to restore menstrual cycle for thin PCOS without insulin resistance? Thank you for sharing your experience Julia. I got chills thinking about it. Our bodies are affected much more than we think they are. Kind of scary to think that your stressful job is connected so intimately with the health of your cycles, but I see it all the time in my client work. Regarding metformin & PCOS my suggestion is to listen to these previous episodes that go more in depth on the topic: https://fertilityfriday.com/pcosdiva/ https://fertilityfriday.com/katherine/ You’ll also want to consider working with a functional practitioner who specializes in PCOS and fertility. I have listened to all of your podcasts and I absolutely love them! Thank you! Wish I would have found them sooner! I went off birth control over a year ago, but haven’t had a period yet. About 6 months ago I adjusted my thyroid medication(previously low normal bloodwork) and now my levels are now optimal. I stopped all exercise, began eating more fat and schedule more time for self care, but my period is still missing. Is there anything else I could be doing or that you recommend? Do you think I will ever get my period back? I’ve so glad you’ve been enjoying the podcast! Have you read No Period Now What by Nicola Rinaldi? It’s definitely a good place to start. I also talk about overcoming HA in The Fifth Vital Sign. It’s absolutely possible to get your period back, though you may need support to help you along the way.